Sometimes we’re thrown a curve – hit with the unexpected, often out of the blue, and we have to react accordingly, and often quickly, to deal with a situation that life has thrown our way. This has been the case for me and Dean recently, and (while I don’t wish to divulge the details) it was a pleasure simply sitting and sipping a cup of coffee at a local cafe. Actually, we were there for breakfast but the coffee comes first. As we sat there chatting about the various curves we’ve been dealing with, I looked down and smiled at the little ray of hope residing on the top of my ‘foam’. 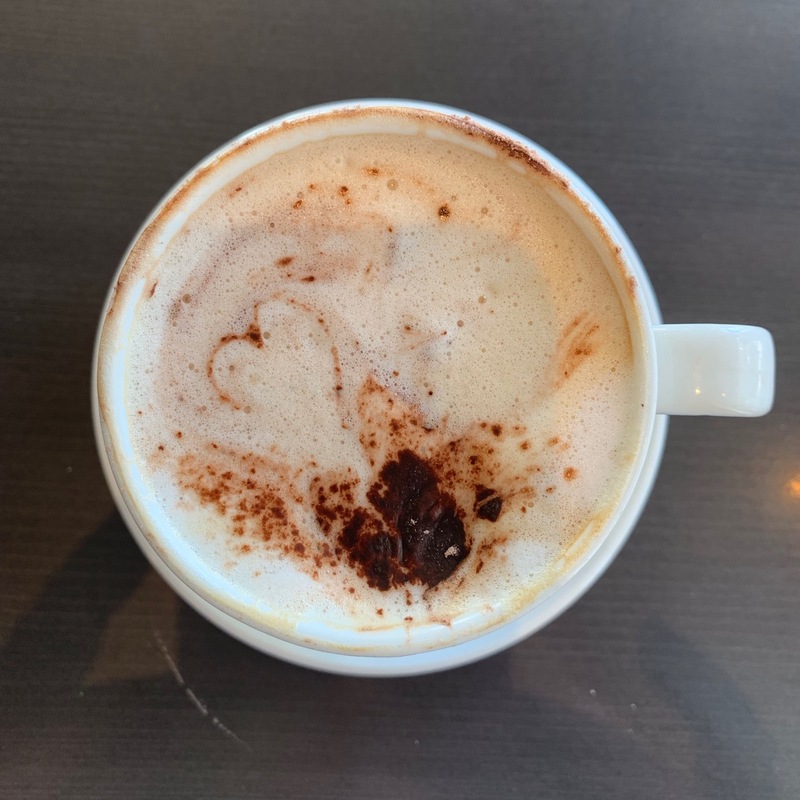 I look for hearts everywhere, I see them everywhere – in flowers, in the leaves of plants, even in rocks to mention a few, and I do have a little collection of heart-shaped rocks – but this is the first time I’ve found one in my coffee. I pointed it out to Dean and we both had a little giggle over the symbolism of something so simple and what it meant to us at the time. It was just what the Doctor ordered. I too look for hearts! I call them Godwinks! Hugs to you and hope all gets better.